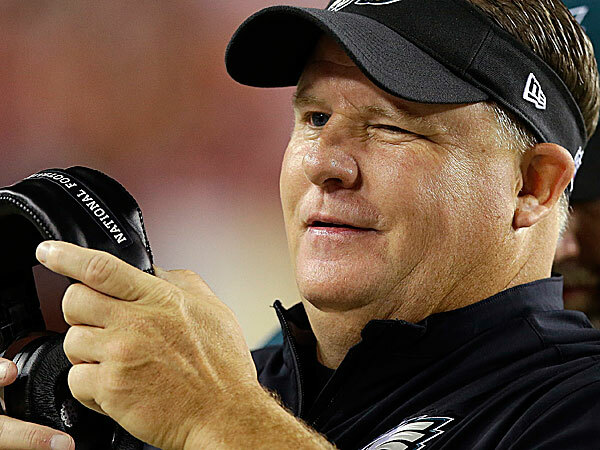 Chip Kelly came in to the NFL with a lot of question marks. At Oregon, he racked up 46 wins in just four seasons and was highly-regarded for his fast-paced offense. When he arrived last season as the head coach of the Philadelphia Eagles, many wondered if this was just another gimmick offense like the Wildcat that would quickly get figured out. Philadelphia won the NFC East, ranked second in total offense behind the Denver Broncos and finished first in total rushing in Kelly’s first year. With a weak NFC East and players even more comfortable in year two under Kelly, the Eagles offense should once again be at the top of the league as they look to repeat as division champions. While Kelly’s offense shined in year one, it wasn’t all about his high-octane offense. For any offense to perform well, the talent level must be there. With running back LaSean McCoy, wide receivers DeSean Jackson and Riley Cooper, quarterback Nick Foles and an exceptional offensive line, Kelly had the perfect blend of players for his attack. Following a Michael Vick injury, Foles took over. He responded behind center with an astounding 27-to-2 touchdown to interception ratio and completed 64 percent of his passes. McCoy returned to the Pro Bowl and led the NFL in rushing with over 1600 yards on the ground. Jackson had a magnificent season, using his exceptional speed to rack up over 1300 yards through the air and nine touchdowns. Cooper also had a career year with eight career touchdown catches. The offensive line was a cohesive unit and ranked as the top line in the league, sending their leader Jason Peters to the Pro Bowl last season. Back to the upcoming season and Foles returns along with McCoy and the offensive line. Gone, however, is Foles’ favorite receiving option, Jackson. Following a rift with the front office and questionable off the field activities, Jackson was released. It is not too often you see a player released following a Pro Bowl season. To pick up the slack, the Eagles return Jeremy Maclin who is an explosive player in his own right. However, he missed all of last season with a torn ACL. They also drafted wide receivers Jordan Matthews and Josh Huff in the second and third rounds, respectively. The chances of Foles’ repeating his nearly impossible touchdown-to-interception pace from 2013 is unrealistic. However, putting up those stats is not a fluke. Foles showed he is comfortable running Kelly’s offense and performed very well. Without Jackson, he will rely on other weapons but the Eagles should be fine. Matthews will step into the slot role and should perform well and if Maclin is healthy, he is a very good pass catcher. Tight end Zach Ertz provides a big target in the red zone for Foles and of course he has McCoy. The Pro Bowl running back thrived in Kelly’s system and will be asked to carry the load again this year. There is no reason to see him slowing down. Add in jack-of-all-trades back Darren Sproles, acquired via trade this offseason, and the Eagles offense could be even better in year two despite the loss of Jackson. The NFC East is a weak division and all teams have question marks. However, the Eagles have by far the fewest question marks and are poised to capture the division title again. For more NFL news and updates, visit Fantasy Football Overdose today. You can also get updates via Facebook and Google+. This entry was posted in NFL and tagged CHip Kelly, Chip Kelly Philadelphia Eagles, Eagles Offense, NFL 2014, Philadelphia eagles. Bookmark the permalink.